How many times have you scratched your smartphone’s screen for eternity from a simple drop? And how many times have you been surprised at the high price of this screen? Well, what if we told you there might be a way to ensure your screen is never again vulnerable to such unfortunate events even if it was directly rubbed by a rock? Yes, it might be possible thanks to Sapphire. The hardest natural substance after diamond, Sapphire, might soon be employed to produce smartphone screens. The military already incorporate sheets of Sapphire glass to produce transparent armors. However, if more Sapphire- synthesizing startups have the green light , this will aid at making Sapphire glass become more mainstream –price wise- and applicable for a variety of consumer products. Smartphones will be the very first example of such products; tablets will soon follow as well as other ruggedized devices. In case you’re intrigued to find out more about this mystical material we can help you out; Sapphire is a transparent, crystalline for of aluminum oxide (alumina) that is impeccably hard, scratch-resistant, with a melting point of 2,030 c and almost impenetrable to astringent chemicals. 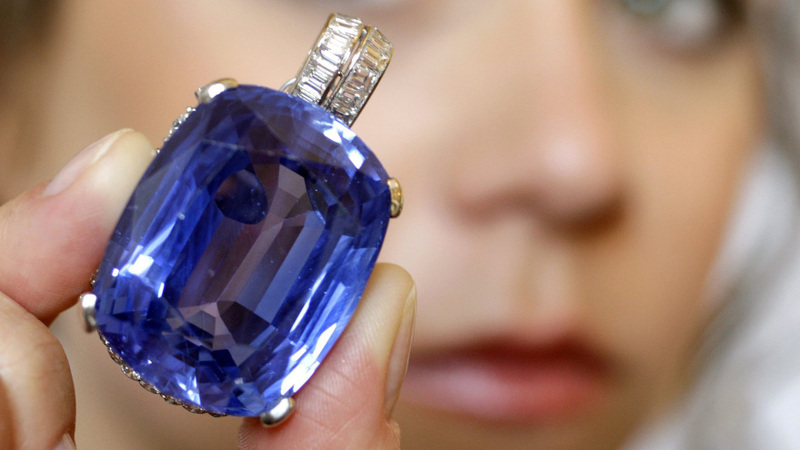 To simplify it for you; Sapphire is just modestly weaker and yet a much cheaper and more exuberant version of diamonds. Sapphire proposal ring anyone? On a more realistic plate, Sapphire is around 10 times more scratch resistant than regular window glass, and considerably stronger than any other materials employed in optics applications. It is this crudeness that has led Sapphire glass to be the key element used in applications where normal glass does not suffice. Bullet-proof glass is a clear example, as well as watches and the front windows on barcode scanners. Eminently speaking, synthetic Sapphire is quite easy to manufacture, though the exact processes used are usually proprietary. In general, all it takes is melting a large amount of aluminum oxide in a special furnace, and then allowing it to gradually cool off so as to create a single crystal of flawless Sapphire. A transparent crystal of Sapphire is created by straight-up aluminum oxide. If you’re eager to create a specific gemstone, however, trace minerals ought to be added; titanium and iron create the stereotypical blue Sapphire, while chromium turns it into a ruby. Once you have a big crystal – such as the picture above- a diamond saw is manipulated to slice it into sheets of glass. With approximately 3 times the strength and scratch resistance of Corning’s Gorilla Glass, Sapphire glass would easily make an ideal smarphone screen. But you can’t have your cake and eat it too, right? According to a market analyst, a sheet of Gorilla Glass costs about $3, whereas the same piece of Sapphire glass would cost $30. We can thank the increasing competition, though, that is quickly reducing the cost of Sapphire glass. We wouldn’t be taken aback if we were to see a high-end smartphone (such as an iPhone for example) use a Sapphire screen in the upcoming years. It’s note worthy to say that the iPhone 5 already uses Sapphire glass to foster its rear camera lens; Apple is certainly not in the dark when it comes to Sapphire’s potential. Another alternative would be to create very thin sheets of Sapphire, which are then varnished onta a cheaper material. As reported by Technology Review, GT Advanced Technologies is implementing this idea. Through the acquisition of Twin Greeks’ ios cannon technology, which creates very thin sheets of silicon from a large crystal of silicon for use in solar cells, GT aims to produce sheets of Sapphire that are thinner than a human hair. In the video above, you can witness an iPhone that’s been retrofitted with a sheet of GT’s Sapphire glass – its durability is quite astounding.